When living in the UK it's not always possible to get a natural summer glow unfortunately, so I thought I'd share with you my favourite products to achieve a natural sun-kissed look out of the bottle! Next up is the make-up! 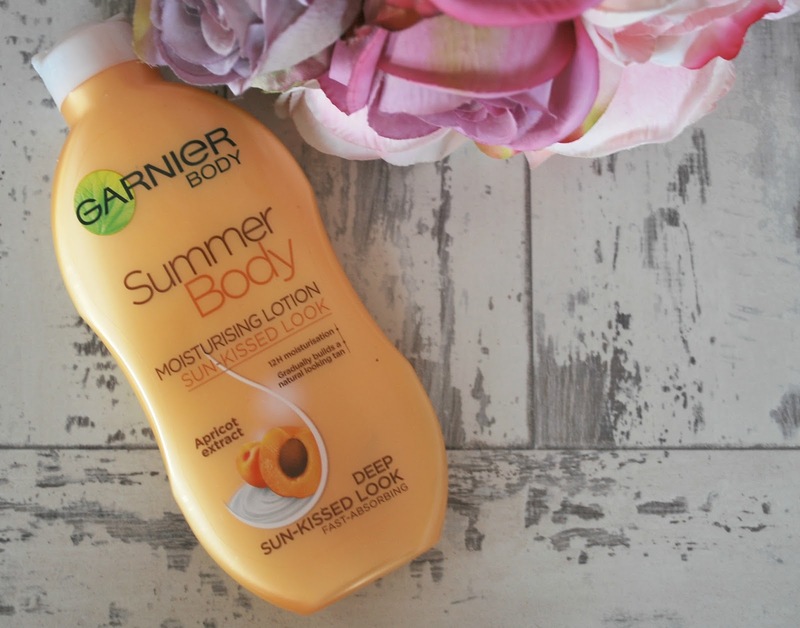 I'm always up for something quick and easy which makes you look glowing in the summer. So when Maybelline brought out this Dream Bronze BB cream I had to try it! 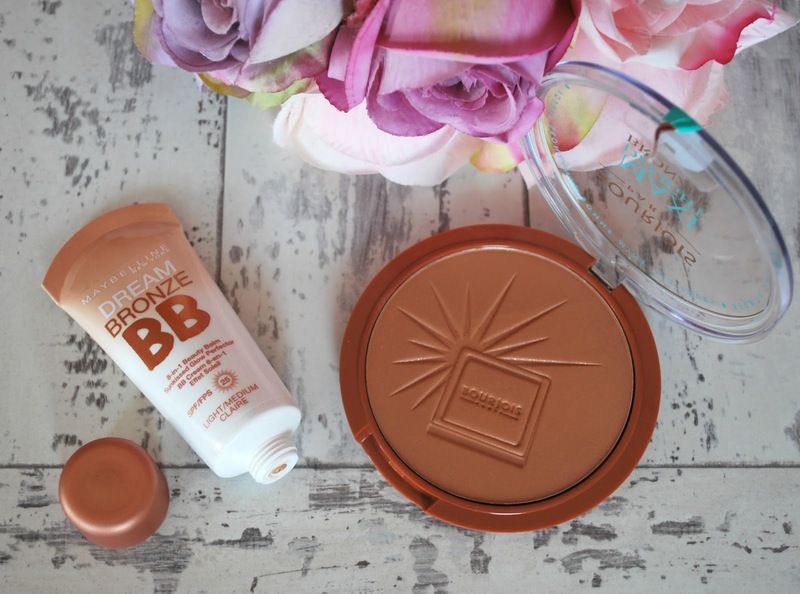 It blends in lovely and gives the perfect bronze shade which looks natural and the coverage is really nice, not too sheer but nothing heavy so perfect for holidays, even better that it has an SPF 25! I will definitely be ditching any other foundations/BB creams I have and taking this on my holiday which is slowly approaching... (I am sooo excited!) Paired perfectly with this BB cream is the Bourjois Maxi Delight Bronzer which is lovely to brush all over the skin or for a slight contour! It does have a slight shimmer to it but nothing too crazy and the two products together make you look fresh, dewy and definitely sun-kissed! To achieve a natural summer glow, these products are some of my favourites this year and quick and easy to use! 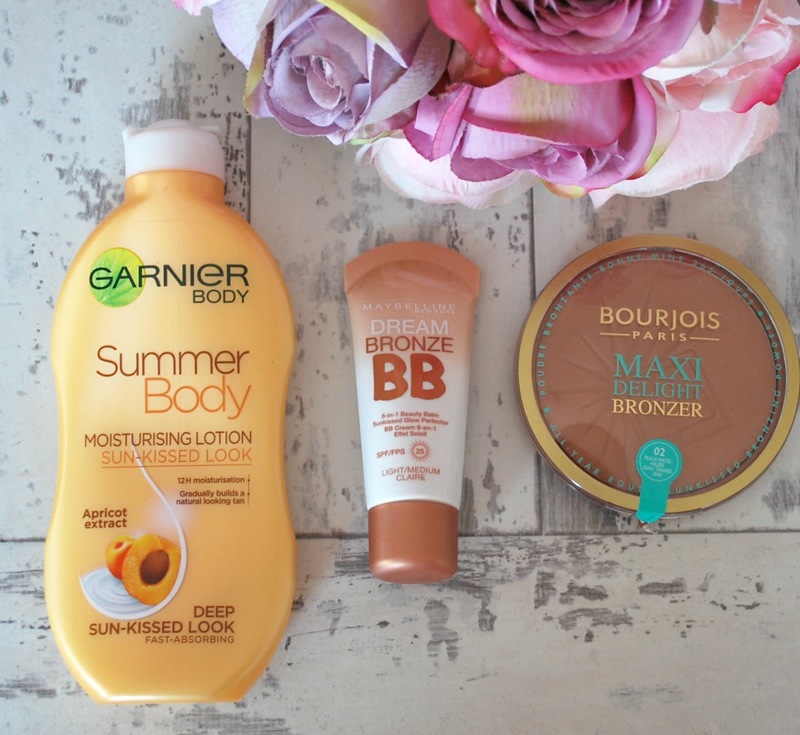 Whilst very affordable and perfect for holidays or a back from holiday look, so if you want a little pick me up and a sun-kissed glow out of a bottle, pick these products up...they won't disappoint! Hydrate & Feel Great This Summer!